Seattle singer-songwriter Noah Gundersen is making his way back to Nashville for what is sure to be a powerful night of music at Cannery Ballroom. Just weeks after releasing his second full-length record, Carry the Ghost, he’ll take the stage along with opening act Field Report on Oct. 9. If you’re a fan of Gundersen’s honest and emotional songwriting, you’ll want to be there to see him perform tracks from his latest release and favorites from his breakthrough debut, Ledges. If you’re short on cash but are still clamoring to see Gunderson pour his heart out on stage, we have good news. We have a pair of tickets to give away to one lucky reader, so click below, enter the contest and read more about why this show is a must-see. You can also purchase tickets here while the last. There are few singer-songwriters who are creating music as intense, heartfelt and as well-crafted as Noah Gundersen. He first entered the music scene back in 2008 with his band The Courage, before recording his first solo EP, Brand New World, that same year. Over the next few years, Gundersen honed his craft and earned buzz within the industry, thanks to his insightful and beautifully-written songs. His popularity reached new heights with the release of his first full-length album, Ledges, in 2014. Expertly vocalizing the growing pains of twenty-somethings in todays world, Gundersen has been rightfully celebrated for his sometimes painfully honest take on the realities of young love, heartbreak, and life itself. With the release of his second album, Carry the Ghost, Gundersen has cemented himself as a talented and innovative songwriter. He’s evolved his sound even further by exploring a moodier, more layered sound that gives off a dark and sometimes desperate feeling. His pain and sorrow is portrayed so vividly that it can be sometimes hard to digest at first listen. He creates an almost therapeutic experience by diving head-first into emotions that most of us tend to avoid. If you want to see one of the most talented singer-songwriters of our time, pack some tissues and head to Cannery Ballroom on Oct. 9. It’s easy to say Field Report‘s sound is centered in the indie-folk bubble of 2012, but that would be short-sighted. Founding member Christopher Porterfield used to play alongside Justin Vernon in their home state of Wisconsin, which gives you good insight into where their inspirations are drawn from. They should not, however, be written off as another Bon Iver copycat. While fans of Vernon may easily connect with their music, their sound is all their own. Synths are scattered along with acoustic guitar and piano that takes a more experimental route than many indie-folk hopefuls would ever dare to travel. Their imaginative lyrics are the real centerpiece in their music, which spouts picturesque narratives that make you feel transported into another time. The group’s 2014 album, Marigolden, is a sort of musical storybook that pays no attention to traditional song structures. In each track, Porterfield’s visceral retellings strike you in a way that’s ironically too hard to aptly describe with words. Winner will be announced Monday, Oct. 5 at 5 p.m. CDT, and will receive one pair of tickets. Good luck! 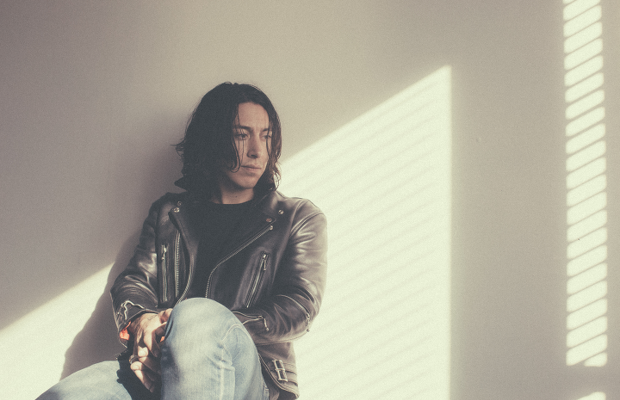 Noah Gundersen and Field Report will perform Friday, Oct. 9 at Cannery Ballroom. The show is 18+, begins at 8 p.m. (doors at 7 p.m.), and tickets are available for $17.50.